We are pleased to announce the launch of Tamar Group's newsletter, which will provide comprehensive ongoing updates and information related to Tamar Group's wide range of products, projects and services. Tamar Group’s R&D Division and X-Test Division organized a specialized day-long seminar for representatives of security, law enforcement and intelligence agencies from around the world. The seminar covered a wide range of security concepts and theories and focused on demonstrations of live explosives and various explosive operating mechanisms. 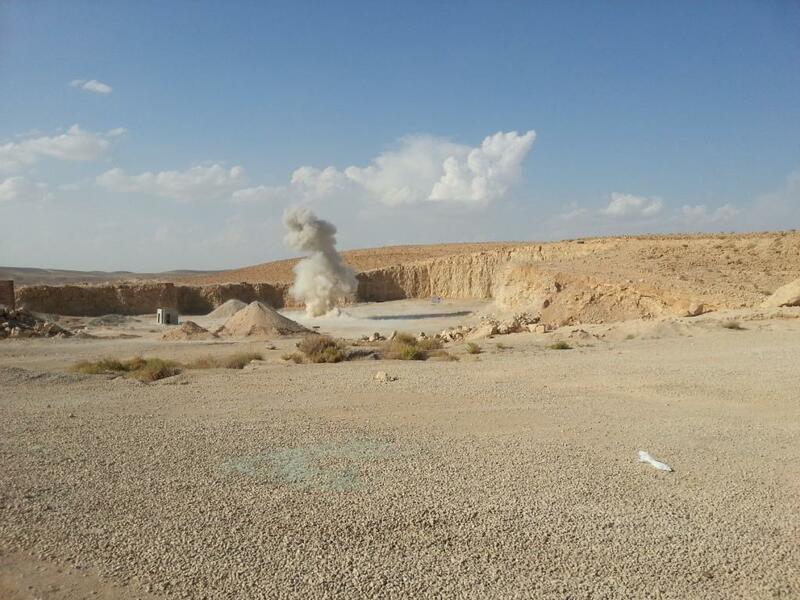 The seminar concluded at Tamar Group’s Explosives Range with a live demonstration of blasts caused by a suicide bomber vest, a bag and a VBIED (car bomb) using Improvised Explosive Devices (a.k.a IEDs) and Home-Made Explosives (a.k.a. HMEs). The hands-on aspects of this seminar allowed attendees to get a better understanding of what live explosives look like and what their impact is when used in various operations scenarios. Tamar Group plans to offer additional such seminars throughout 2013. Please contact us at guy.zuri@x-test.com if you are interested in attending. During the past several months, Israeli police and inspectors of the Israeli Ministry of Industry, Trade and Labor have confiscated what amounts to approximately 40 cube meters of toy pistols, guns and rifles, firecrackers and numerous other pyrotechnical products, such as smoke grenades, etc. 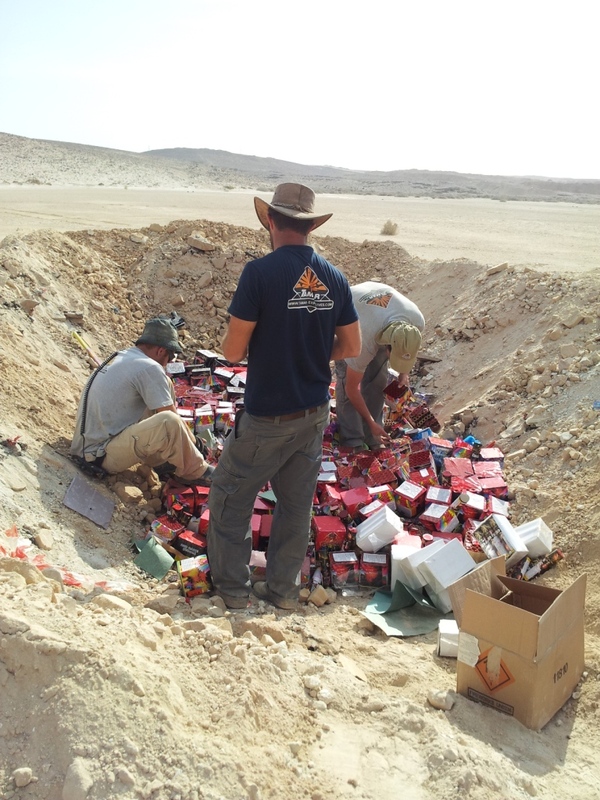 Tamar Group was awarded a tender issued by the Israeli Ministry of Industry, Trade and Labor for the controlled destruction of these dangerous toys, acknowledging Tamar Group’s expertise in handling live explosives and explosive-like items. A mobile crusher, manufactured by Tamar Group, was used for a safe and quick elimination of the toys. Firecrackers and other hazardous materials were destroyed using special techniques, developed by Tamar Group. These involved fine mesh metal nets and a remotedestruction process to ensure a completely safe operation. Tamar Group offers consultation services in the area of destruction of explosive and hazardous materials. 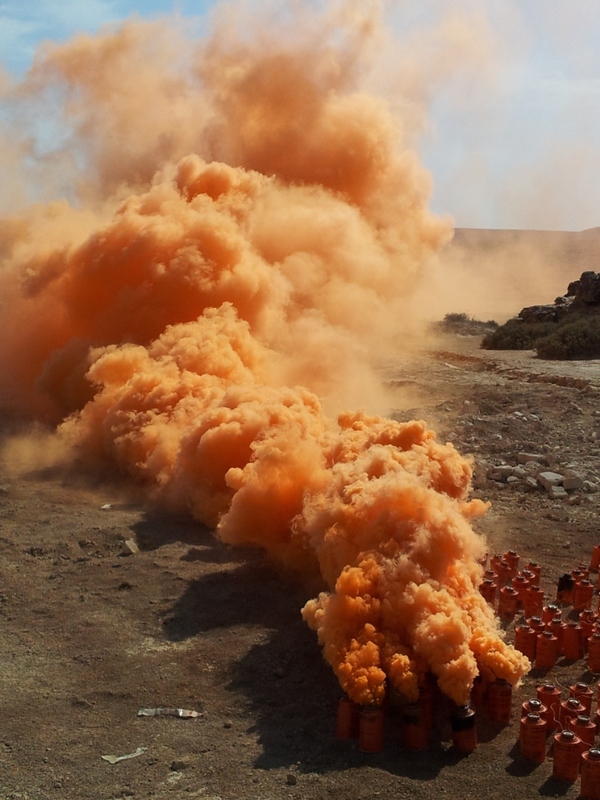 Please contact us at nir@tamar-explosives.com if you are interested in additional information. 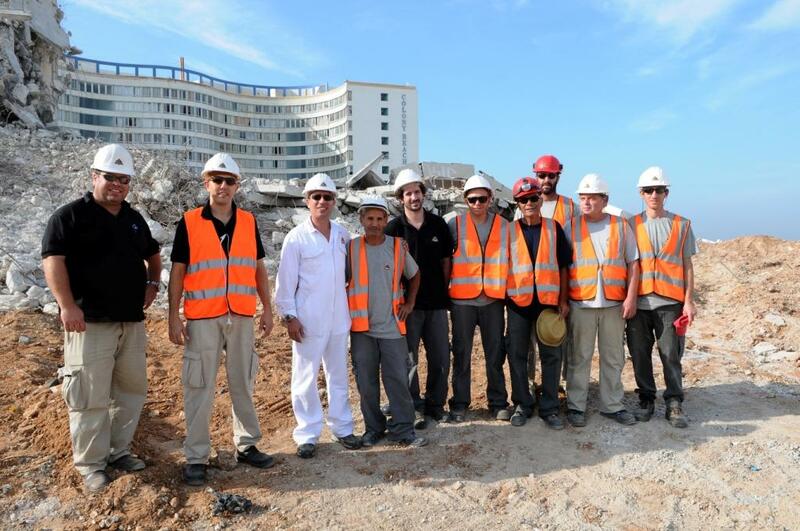 Tamar Group’s Civil Division was awarded a contract to implode the Sun Hotel, an abandoned 14-story building located along Bat Yam’s coastline, roughly two kilometers south of Tel Aviv, Israel. On November 6, 2011, Tamar Group’s experts positioned explosives in strategic locations of the building, targeting its central pillars, which then caused the building to collapse within seconds. Tamar Group used a relatively small amount of explosives in order to generate a well-controlled blast. 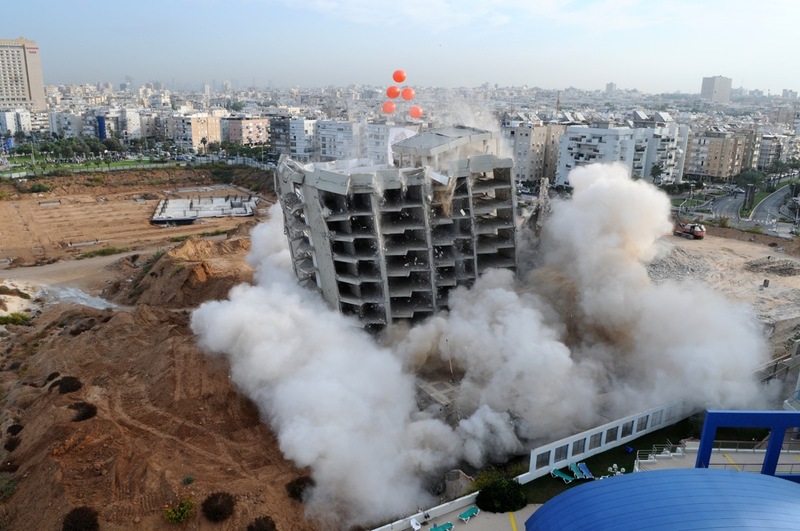 This is the largest scale demolition carried out in Israel to date. Tamar Group executed the project with safety in mind, implementing a multi-layered safety approach. This included using two of Tamar Group’s helicopters circling the site, supported by two police boats patrolling the nearby coastline together with law enforcement units securing the surrounding area. Tamar Group offers consultation services in the area of demolition. Please contact us at tamar@tamar-explosives.com if you are interested in additional information. Tamar Group is committed to providing innovative products and services at the highest professional level to a wide range of customers and partners.